"The Rev. Monica Beasley-Martin of Liberty participated in recent protests against BP through her organization, Defenders of the Earth Outreach Ministries, and her affiliations with OhioFracktion, Frackfree Mahoning, Frackfree Ohio and Frackfree America. "All the studies state that sooner or later the well is going to leak, and once it leaks, and if it gets into the water, there are going to be problems. 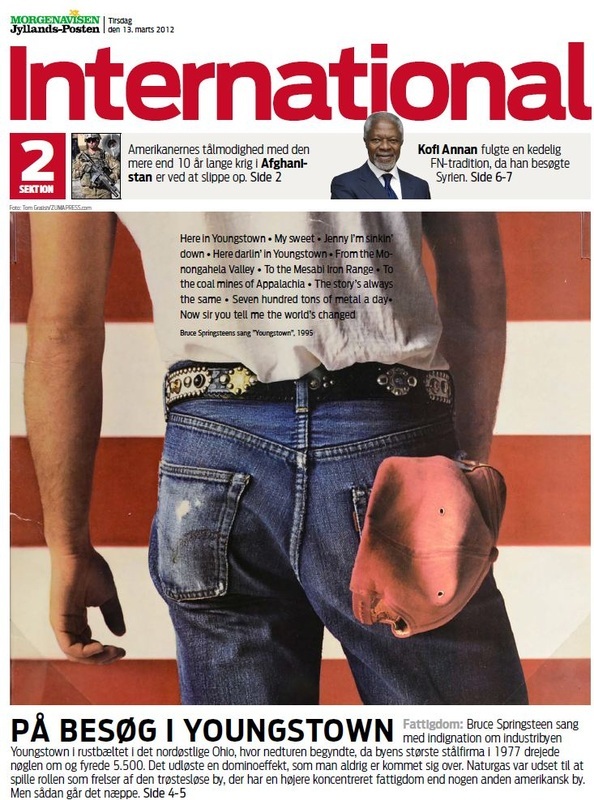 There are already problems, there are hundreds of cases," she said. "We see what happened at the Gulf. And once it happened, it's really very difficult to clean it up." 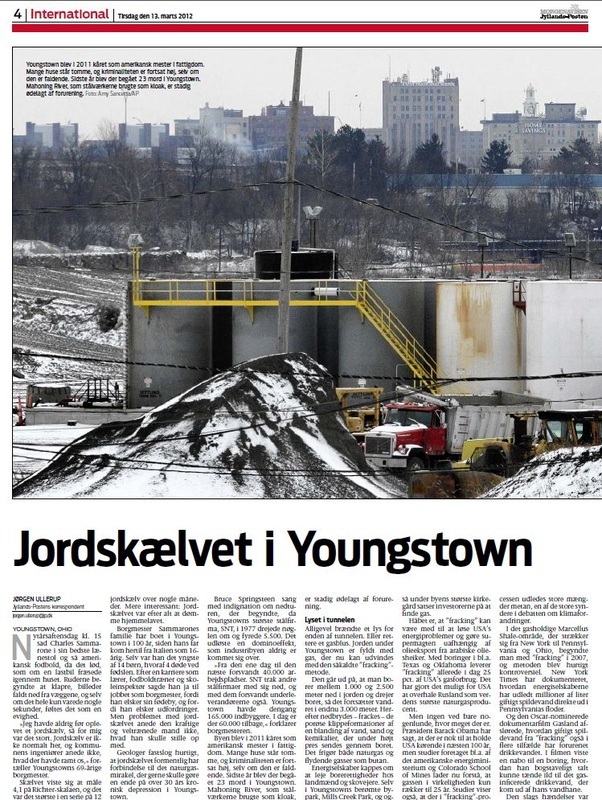 Visiting Here In Youngstown, article by Jørgen Ullerup, US Bureau Chief, for Denmark's Jyllands-Posten publication. 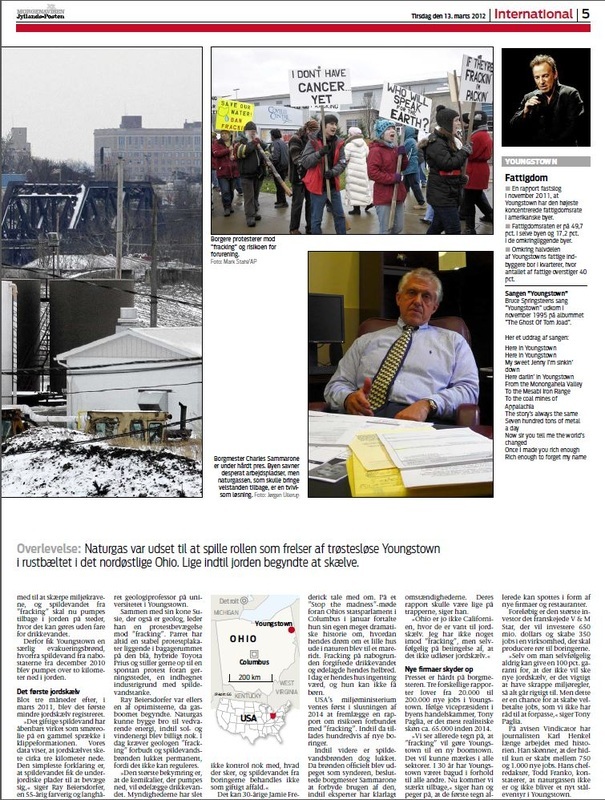 Interviewed and/or had assistance from Mayor Sammarone, Susie and Ray Beiersdorfer, Todd Franko and Karl Henkle.